Laboratories must be able to control temperatures consistently to achieve success. Whether researchers are studying in vitro fertilisation (IVF) or producing life saving pharmaceuticals, there's one underlying commonality; the need to maintain a pristine laboratory environment. Cleanliness and compliance are essential components in ensuring the integrity of a facility, but they aren't the only dangers that must be accounted for. Fluctuating temperatures in a laboratory can have a negative impact on various types of work and equipment. Unfortunately, it's also one of the more difficult conditions to closely regulate without the proper tools for the job. It's easy to fall into bad habits. With a large portion of grants and charitable funding going toward research, you can sometimes forget that as technology matures there will inevitably be opportunities for laboratory managers to upgrade existing infrastructure. Temperature monitoring is crucial to ensuring the consistency of research. Research and production hinges on maintaining consistent conditions to effectively replicate results, and manual methods of environment control are currently outdated. They're time consuming, ineffective and unreliable due to the quality of the instruments being used. That all can become a threat to the reputation of the facility. Regardless of the type of work being done, a slight drop in temperature can have far-reaching effects beyond simple failure of a freezer. One study found a correlation between laboratory equipment temperature and effectiveness changing accordingly with the rest of the environment, according to the National Institutes of Health (NIH). While research and production may be a 9-to-5 job, maintaining the climate of a laboratory requires attention day in and day out. It's for this very reason that many facility managers are pursuing a wireless temperature monitoring solution. Pharmaceuticals effectiveness can change drastically with temperature conditions. The NIH study reported that lab equipment responds to temperature changes in just five minutes. Using outdated temperature monitoring instruments, this subtle difference can go unnoticed for hours and cause a negative impact on studies or the quality of pharmaceuticals. Not only does that cost a facility financially, but clients may be wary to partner with the organisation again. By setting up wireless temperature monitoring tools in various locations, facility managers are able to receive quick notifications that alert them about fluctuations of temperature in incubators, storage areas and research laboratories. The automated messaging system allows them to focus on their work and improve productivity, without compromising on reliability. With much of the research in IVF and production of pharmaceuticals requiring complex and time consuming procedures, the last thing on researchers minds' should be whether the laboratory temperature is stable. 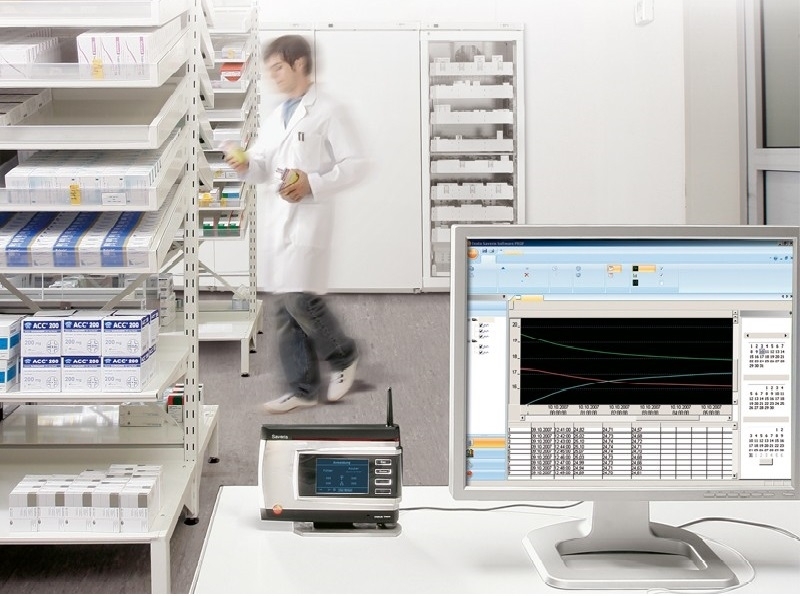 Contact a Testo representative today to learn more about wireless temperature monitoring solutions.